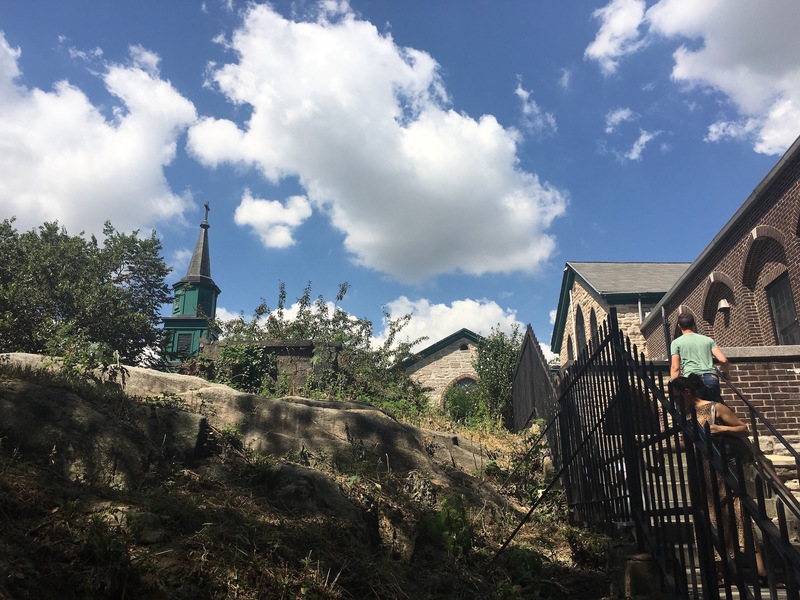 Was there an estate in New York ever as beautiful as Morrisania, nearly 2,000 acres that hugged the Harlem River until it opened out into the turbulent East River as it coursed past small islands and flowed into the Long Island Sound? A property that varied from western hills looking over the river to the rolling spread of Manhattan below, to eastern marshes and flatlands suitable for farming. Today’s Bronx neighborhood of Morrisania is only a small portion of the original property owned by the Morris family since the 1670s, during the dawning years of British dominance in the New York region. 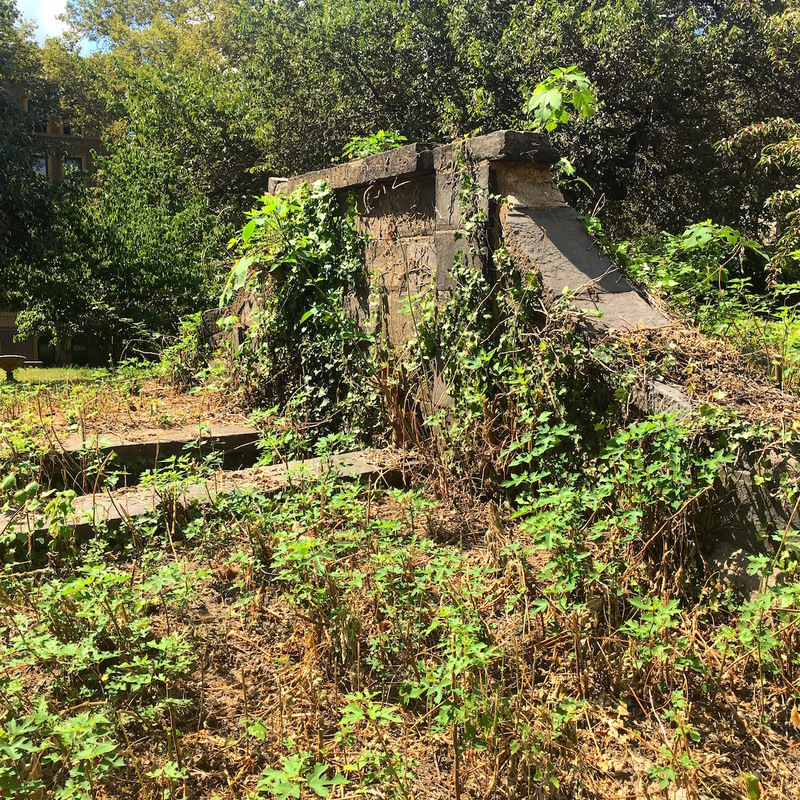 The original parcel, purchased by Welsh captain Richard Morris, was only 500 acres, a part of original land settled by Bronx namesake Jonas Bronck. When Richard died, brother Lewis Morris (for reasons that will soon be evident, let’s call him Lewis I) moved from the West Indies to claim the property. He would be one in a succession of Lewis Morrises to live here and place an imprint on what would some day contain much of the South Bronx. The Morris family was feisty, business savvy, well connected, extremely aristocratic and entirely unoriginal with names. Another Lewis Morris (Richard’s son, or Lewis II) became the governor, at separate times, of both New York and New Jersey. Yet another Lewis (Lewis III) became a powerful New York justice. 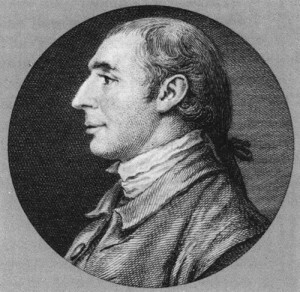 His son Lewis Morris (Lewis IV) was a signer of the Declaration of Independence. If you haven’t gleaned it already, the clan carried themselves like some kind of royal family. They were, artificially at least, as were many families in the New World who quickly made fortunes here and staked claims in manners similar to what their forebears were accustomed to in Europe. Over the decades, the Lewises would blend by marriage into other elite, bold-faced families to form a tangled ball of interlinked faux American royalty. Morrisania for most of the 18th century resembled a miniature British kingdom, with a spread of small farms, dairies and cattle pens operated by those leasing from the Morris family, a proper workaday serfdom common for the era. However, during the early decades, the land was even worked with slave labor, although the practice was phased out in later generations. When Lewis 3 passed in 1762, this massive property was split in two. West of the small babbling Mill Brook (honored today with a playground and a housing development) belonged to Lewis IV and his brothers, but the more bucolic eastern side fell to Lewis III’s second wife Sarah and eventually her only son. That’s right, Gouverneur Morris (pictured below). Gouverneur fled his home during the Revolutionary War, but his mother Sarah stayed behind. 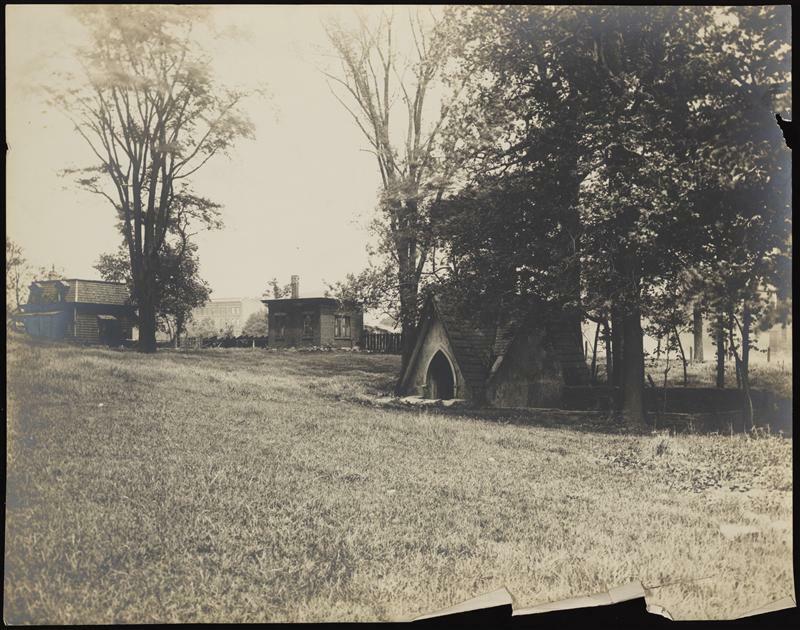 During this time, the rich farmland was vandalized and the family’s voluminous library, one of the largest collections in North America at the time, was ransacked. Gouverneur was quite busy in the late 18th century doing things like penning the Constitution and being minister to France in the midst of their bloody revolution. But wherever he traveled, he always felt a closeness to Morrisania. 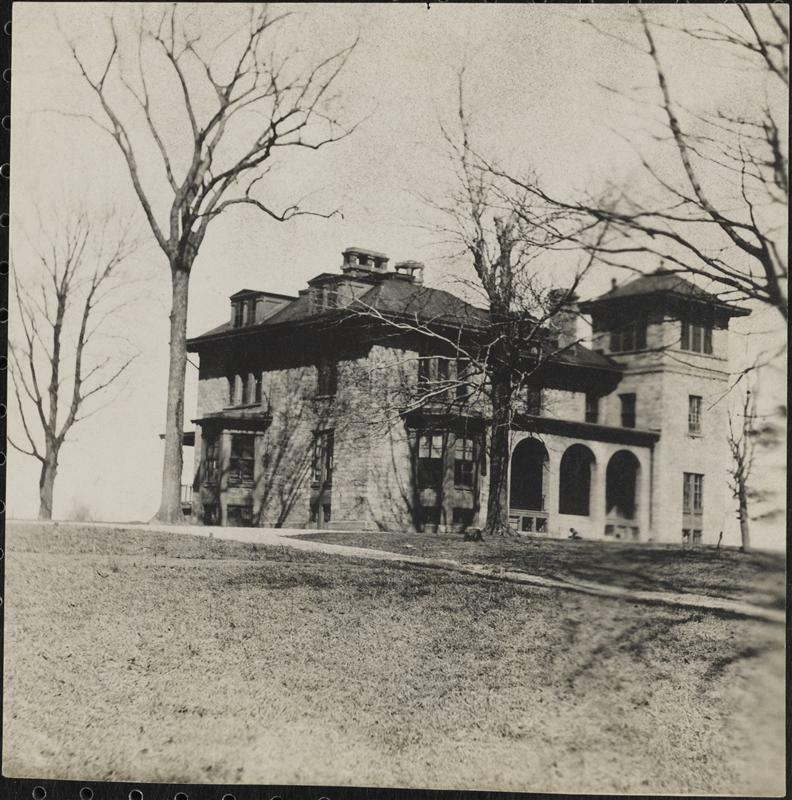 After the war, while Gouverneur was in France, Lewis Morris (the fourth one, Gouverneur’s half brother) offered up the family estate of Morrisania be used as the site for the new American capital. One can just imagine the history of New York had Congress taken him up on that offer! The former mansion of Gouverneur Morris which sat near the waterfront in the Bronx until the 1900s. 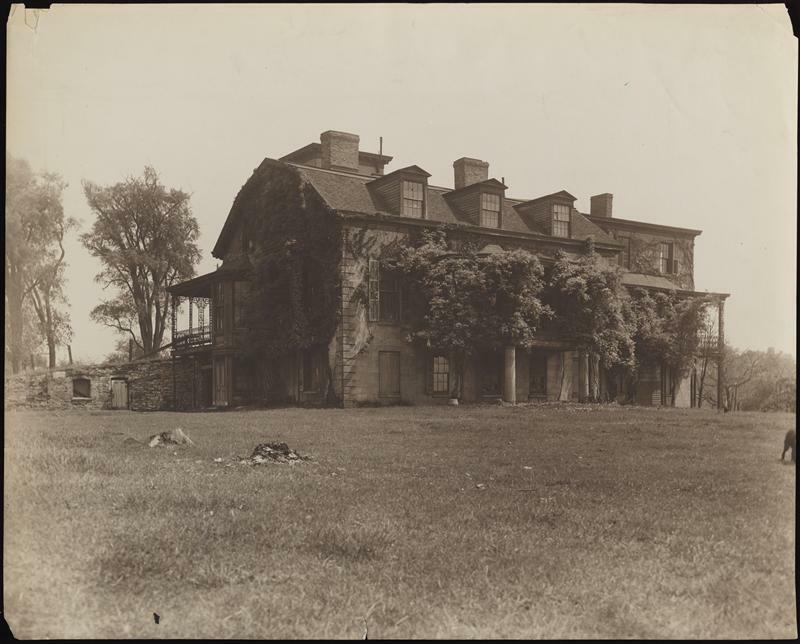 In 1798, when Gouverneur returned from France and claimed the property for himself, he built a new home here (the one pictured above) and filled it with all his gathered French finery. Perhaps no household was more beautiful — or as pretentious — as Morris’ new manor. Gouverneur, of course, facilitated the growth of New York with his roles in the development of both the Commissioners Plan of 1811 and the Erie Canal. His old farms, however, were technically part of Westchester Country. In the 1840s, his son Gouverneur Morris Jr. emulated New York’s former estate owners and began to develop his property for commercial and residential use. 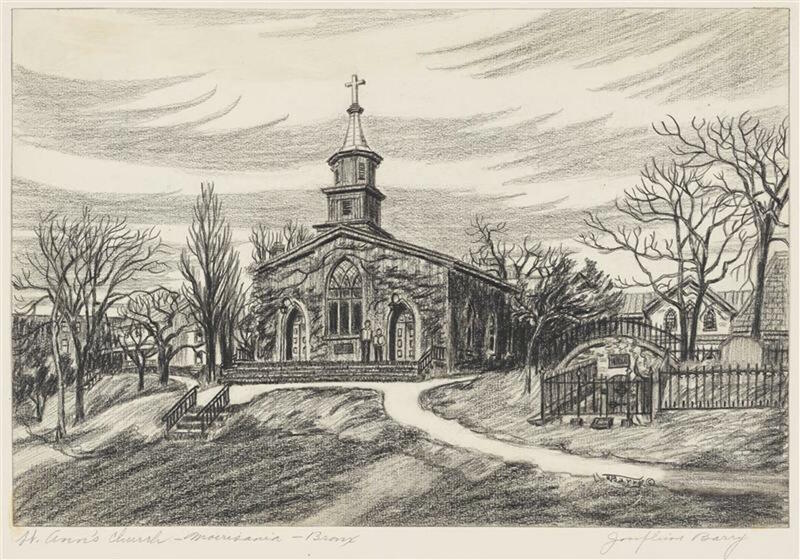 Below: The village of Morrisania, an original ‘commuter’s town’ for those who worked in the city of New York down south. Chief among these decisions was becoming vice president of the New York and Harlem Railroad (eventually to be owned by Cornelius Vanderbilt) and allowing the railroad to cut through the old property. 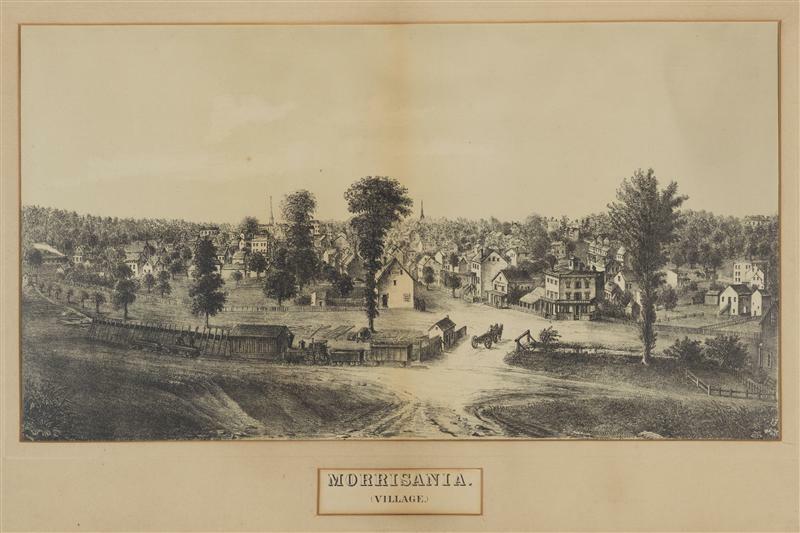 Townships formed around the railroad station, include one small village named for the old manor, Morrisania. That village is the root of today’s neighborhood of the same name. Gouverneur Junior was cut from the visionary mold that would define many in the 19th century. One pet project was the development of a port village along the old family property on the eastern shoreline, today’s Port Morris area. 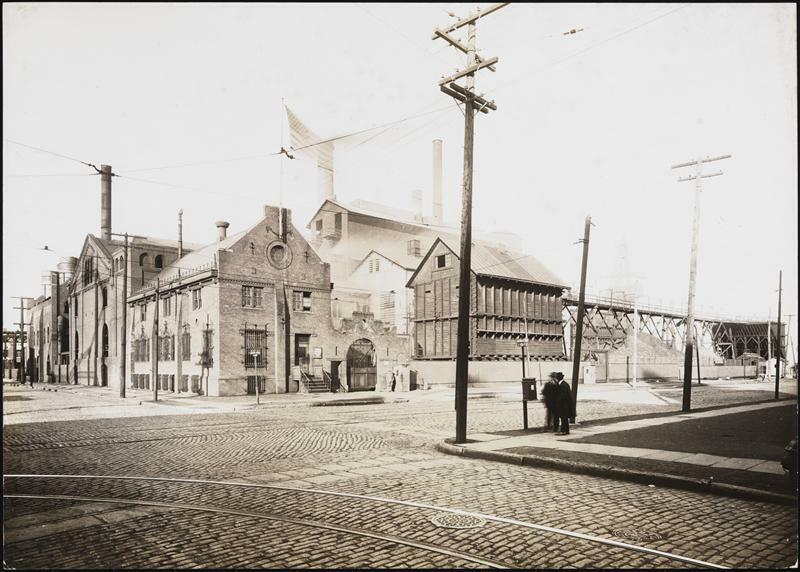 Port Morris, pictured below in 1920, would become a chief location for manufacturing in the borough. Given that Gouverneur Senior was partially responsible for Manhattan’s grid, it’s no surprise that a different grid patterns were adhered to the old Morris properties over the years. In emulating Manhattan’s pattern, all traces of the area’s early farm existence was eradicated. The following years would hold many strange detours in the history of the South Bronx: opulent boulevards, the New York Yankees, 1970s urban decay. But the Morrises live on, if in name only. 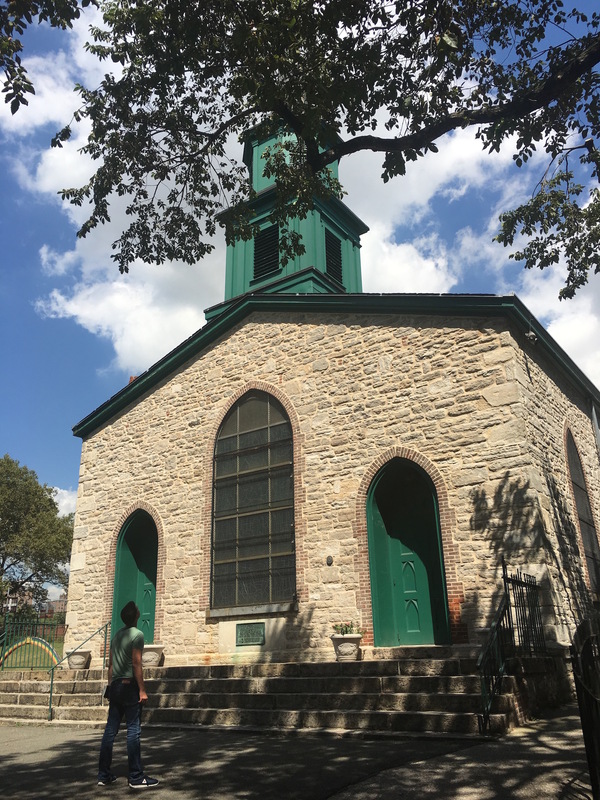 However one lasting physical vestige to the Morris family still remains — St. Ann’s Church (pictured below) in the neighborhood of Morrisania, built in 1840 and the location of burials for members of the Morris family, including Gouverneur Morris and Lewis Morris (the fourth). Portions of this article were taken from an earlier one that I wrote for this blog back in 2010.